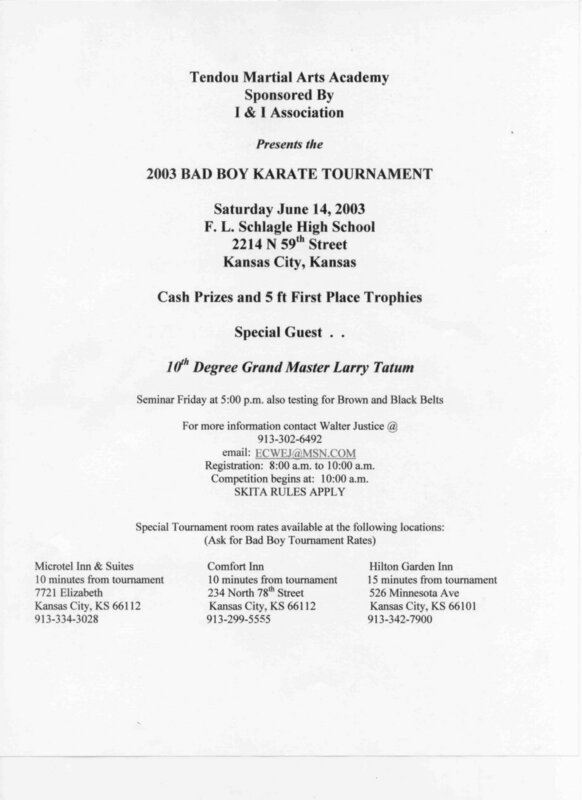 We are writing to formerly extend and invitation for you and your students to attend the 2003 Bad Boy Tournament held at F. L. Schlagle High School, Friday, June 13th and Saturday, June 14th, 2003. 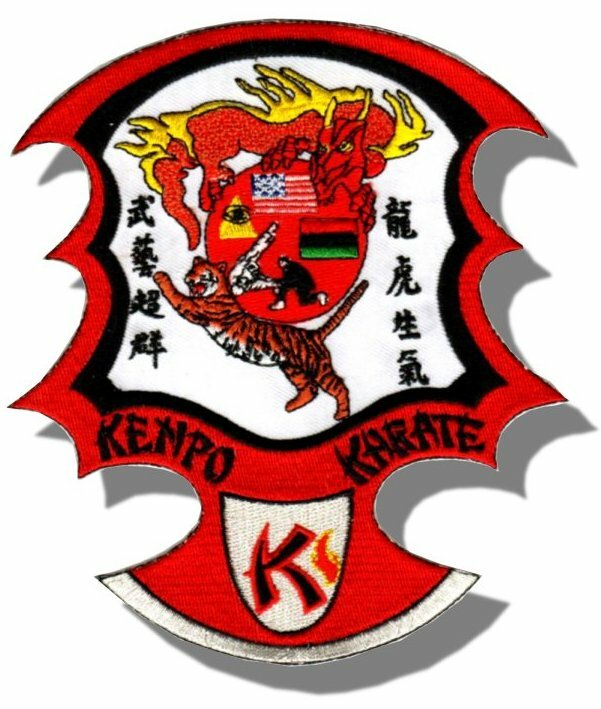 This is a wonderful opportunity for your school to interact with fellow martial artists of all disciplines. This tournament will allow you to showcase your skills in self-defense, open-hand forms, weapon forms, and sparring. In addition to the event we have invited 10th Degree Grand Master Larry Tatum of Pasadena , CA to provide a seminar and testing for brown and black belts Friday, June 13th, 2003. This is a once in a lifetime opportunity to meet and test in front of a first generation American Kenpoist. Grand Master Tatum is recognized for his captivating seminars and reputation as a gifted instructor and teacher of black belts. He was named instructor of the year by Inside Kung Fu magazine. Grand Master Tatum's views of the martial arts has prompted Black Belt Magazine to publish his articles in over 30 issues. He has appeared on numerous radio and television talk shows where he demonstrated his mastery of speed and power. The Bad Boy Tournament is an event for all belt ranks from the Mighty Mites age 3 through the Black Belt divisions. We will be awarding cash prizes for Grand Champions as well as 5ft 1st place, 4ft 2nd place and 3ft 3rd place along with medals for Pee Wee's and under 4th through 8th place. The 2 day event will begin on Friday, June 13th with a seminar and testing for brown and black belts by Master Tatum. Certificates of Authenticity will be presented Saturday, June 14th during Grand Champion presentations. All interested parties must pre-register with money orders or cashier checks only, no later than May 30th Contact Walter Justice for details at 913-302-6492. The SKITA rules will apply for both the traditionalist and open stylist. Please feel free to contact us if we can be of any further assistance or if we can provide additional information for you and your school at (913) 302-6492 or (913) 596-9700. We appreciate your support and look forward to seeing you at the tournament.